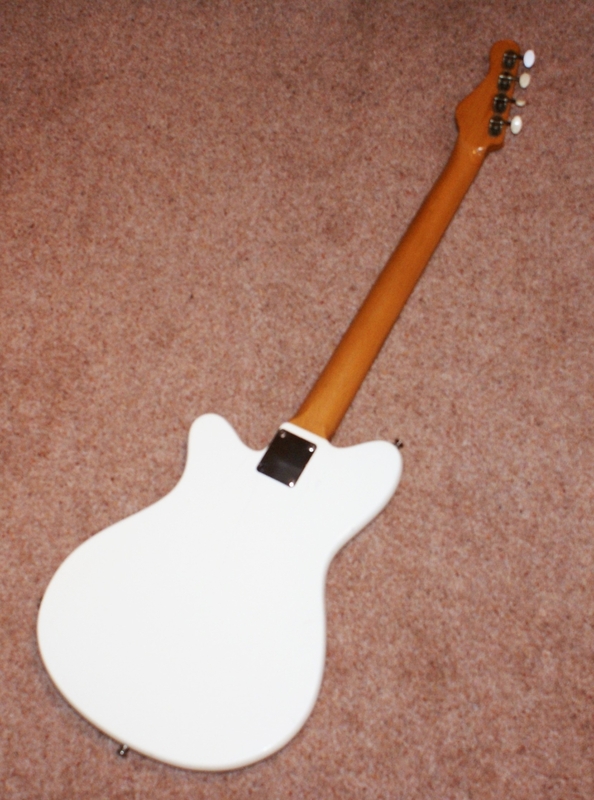 Body: Early examples laminate, later mahogany. Possibly other hardwoods. Here we have quite a rare little piece. 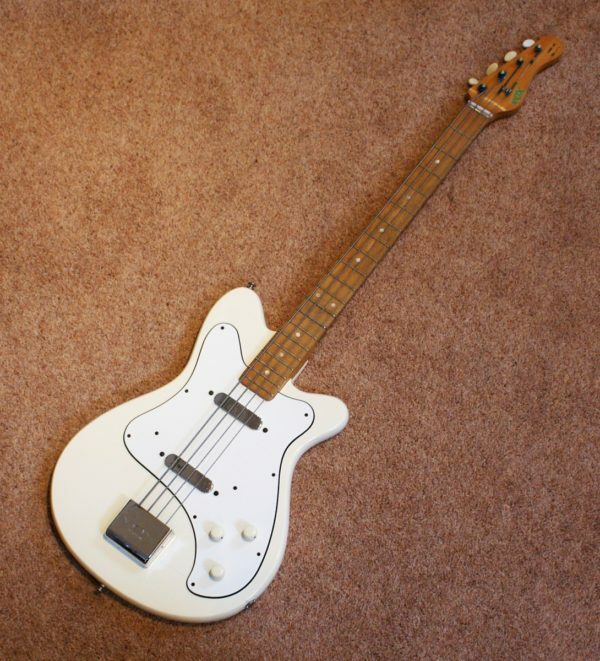 Its a 1963 Vox Clubman ll bass. 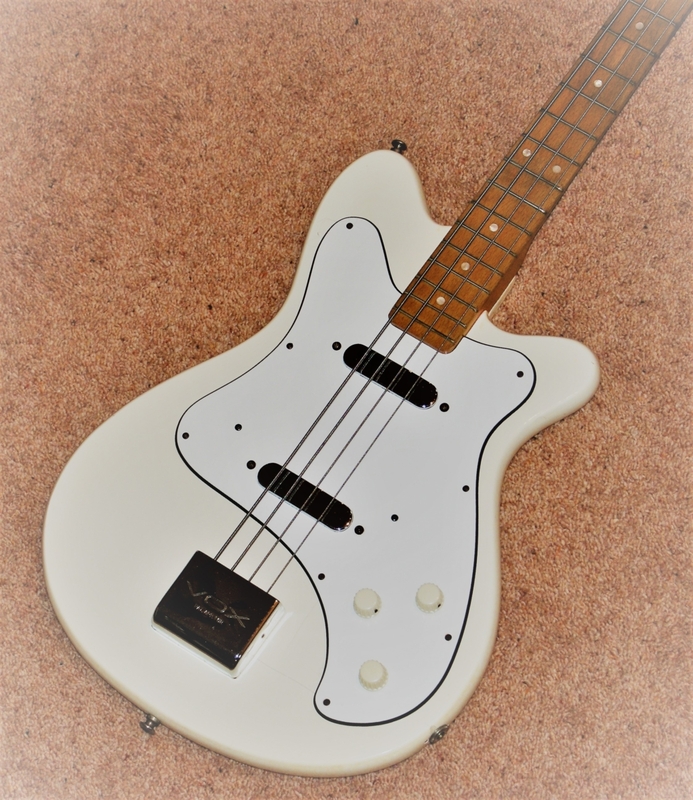 These are normally finished in red with rosewood type fingerboard, but this specimen is quite the oddity as its factory finished in arctic white with what we think is a sycamore fingerboard. She has an impressed serial number of 47795 on the rear of the headstock. 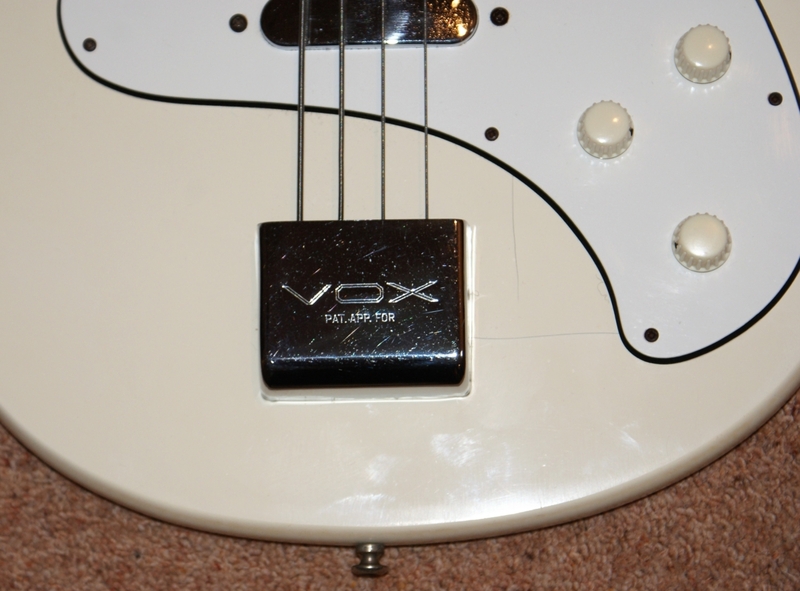 She is all original, apart from the jack socket, which was replaced with a conventional 1/4″ barrel socket as opposed to the highly impracticable co-ax TV areal socket that was fitted originally & she plays well, with all the electrics performing as they should & comes with her Vox logo engraved bridge cover (These normally are missing from guitars of this age!) Although a playable instrument, these babies are now more collectable pieces than practical gigging axes! The Vox Clubman bass was a short scale (30″), two-pickup bass, produced in the UK by JMI, primarily for the UK market. 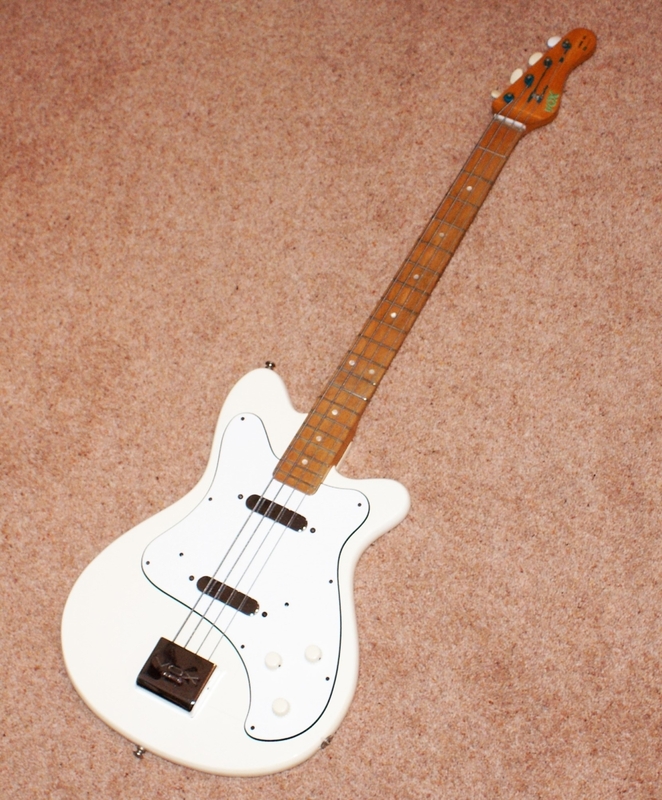 It was Vox’s least expensive bass model, and sold pretty well to student bassist in the mid 1960s. 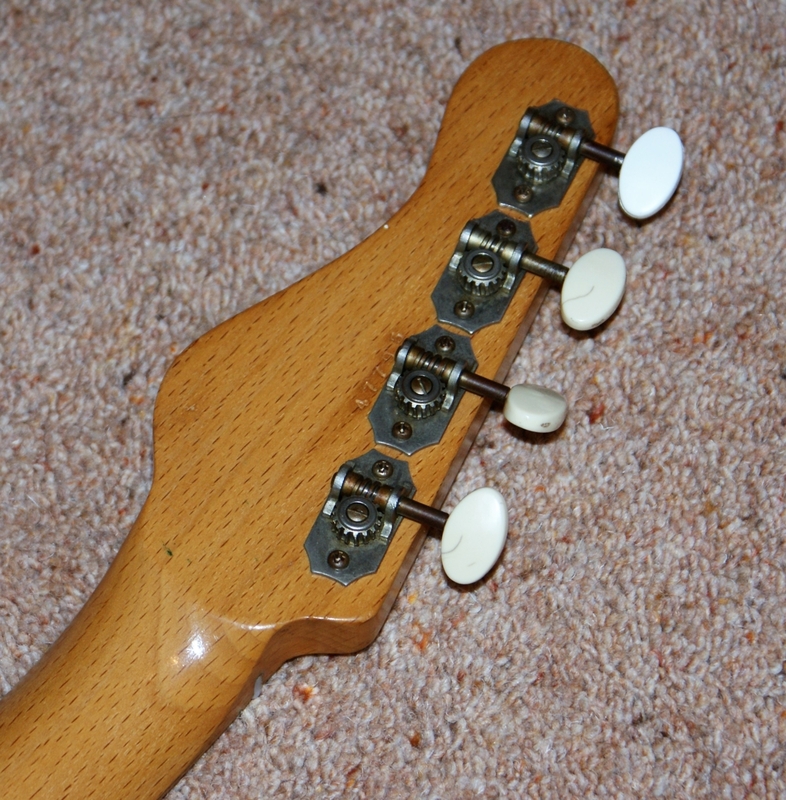 The Clubman bass and equivalent Clubman guitar both used exactly the same, wide, body; initially at least. 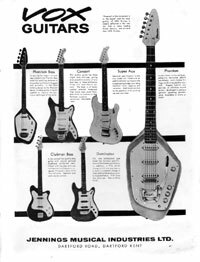 The guitar (but not the bass) took on the Strat-styled Shadow/Stroller shaped body in late 1963. 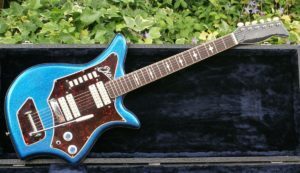 Early versions, as was typical for Vox guitars circa 1962/63, had a laminate wood body, but by the mid sixties, slightly thicker, (and much nicer) solid mahogany bodies were the norm. 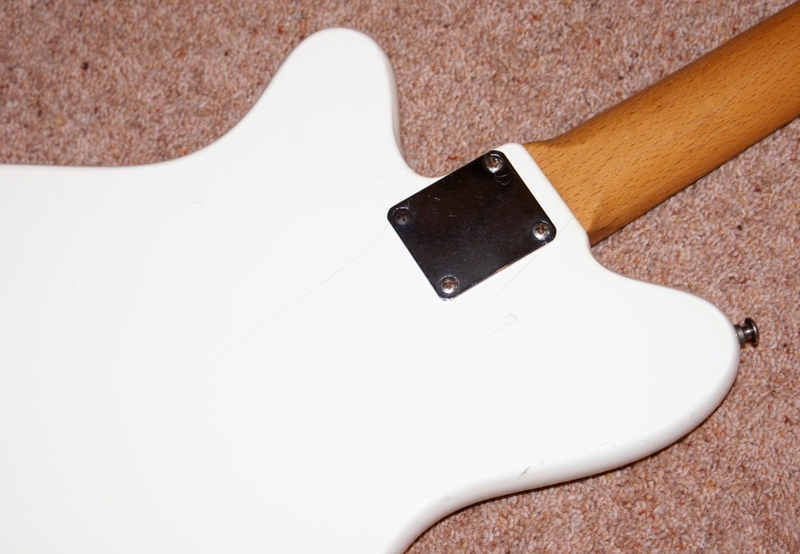 The neck was sycamore as was the fretboard, typically stained darker brown to resemble rosewood. 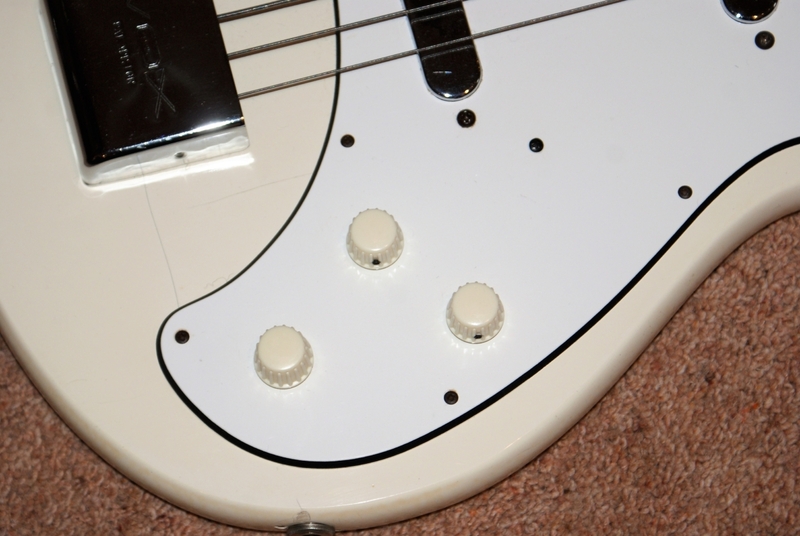 Dot inlays. 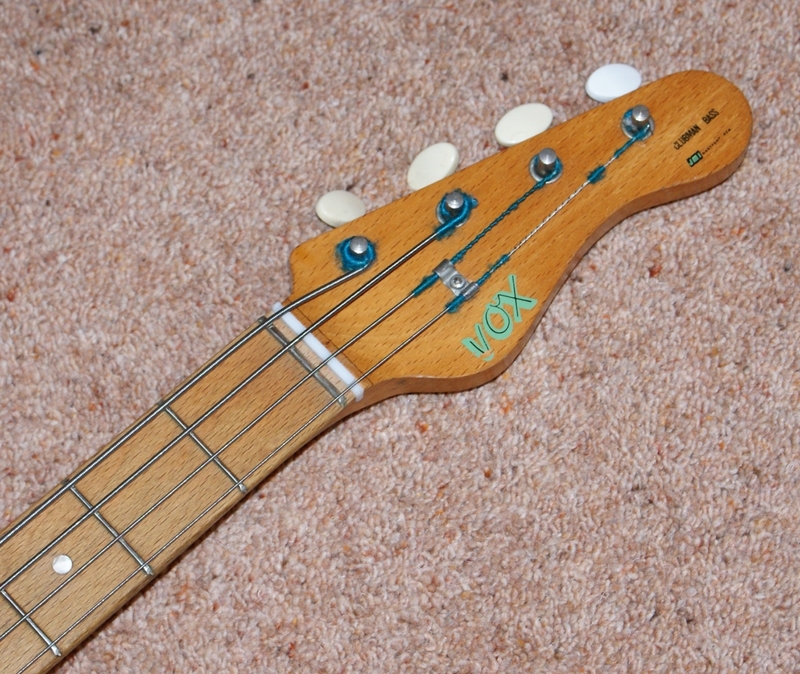 Some Vox necks are super-thin (notably the Vox Bassmaster and Vox Panther), though the Clubman far less so. 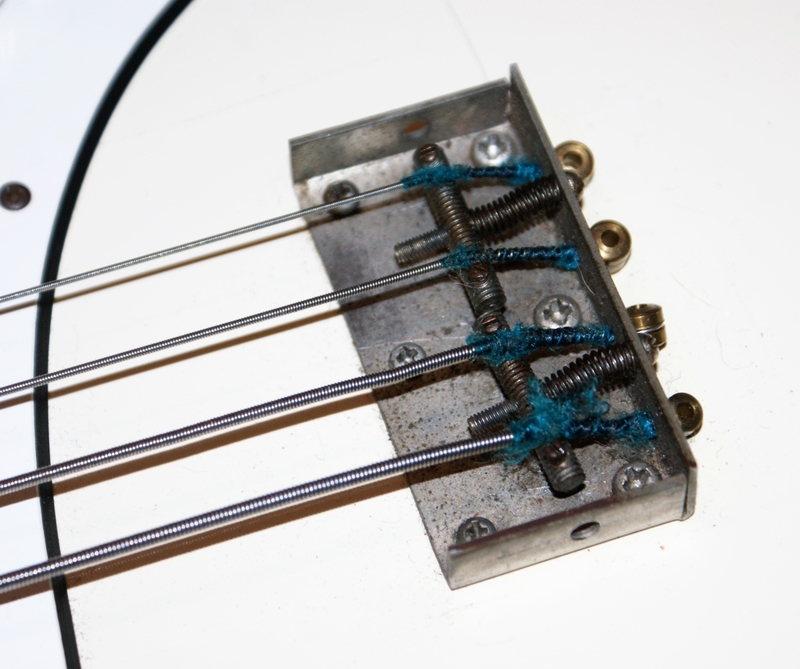 In fact the width at the nut is 1 5/8″; a 1/4″ more than the Bassmaster.